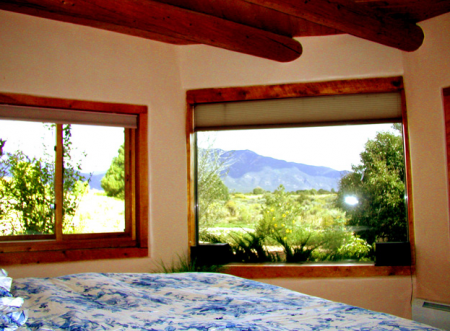 Taos Vista Luna - A traditional adobe home offering majestic panoramic mountain views from literally every room. 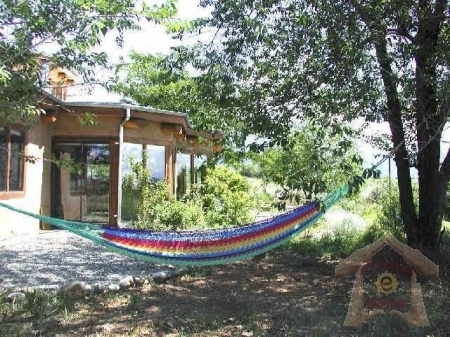 Hand built by the original owners who also designed this sweet residence to include passive solar for eco friendly heating and cooling. 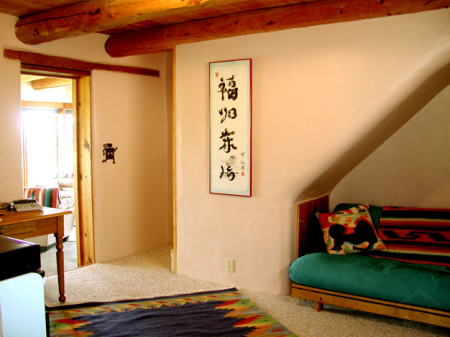 An upstairs "Lookout" bedroom with second King bed is a unique option in this charming Taos vacation rental home. 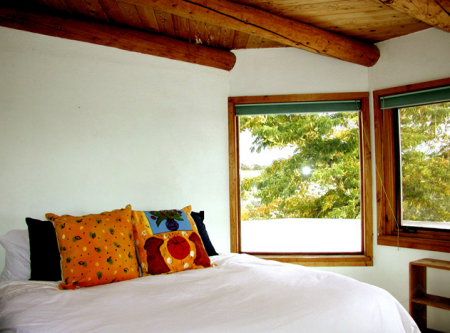 In addition, a downstairs Den / office offers additional sleeping space on the fold out futon making Vista Luna a 3.5 bedroom home. 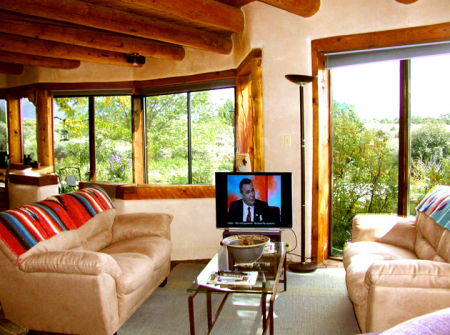 The open living room has expansive floor to ceiling view windows from east to west for a solar southern exposure. 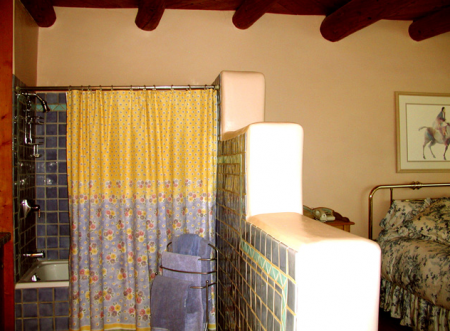 Located on six acres with lush perennial gardens and lots of privacy and the bonus of an "acequia stream" the network of New Mexico's vast irrigation system. 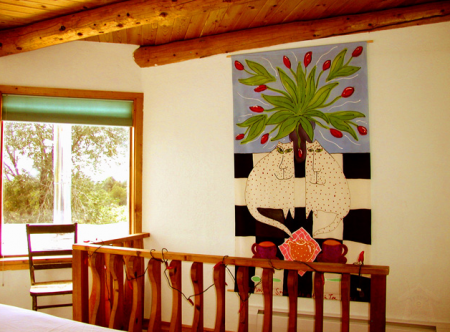 Readers of the "Milagro Bean Field War" know this interesting regional history. 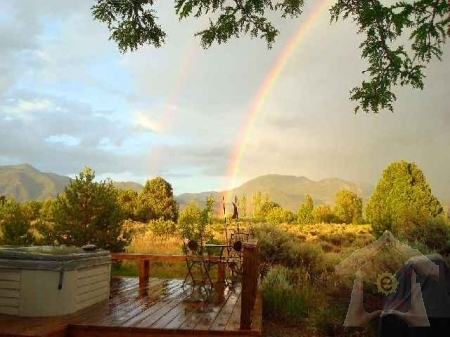 Soak in the hot tub and take in the magnificent views or gaze at the moon and stars! 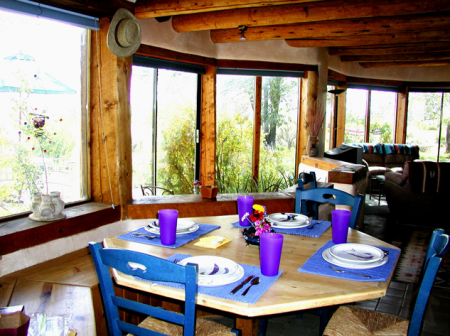 Guaranteed, Your group will enjoy this unique lodging experience in yet another of Premire Properties fine Taos vacation rentals.